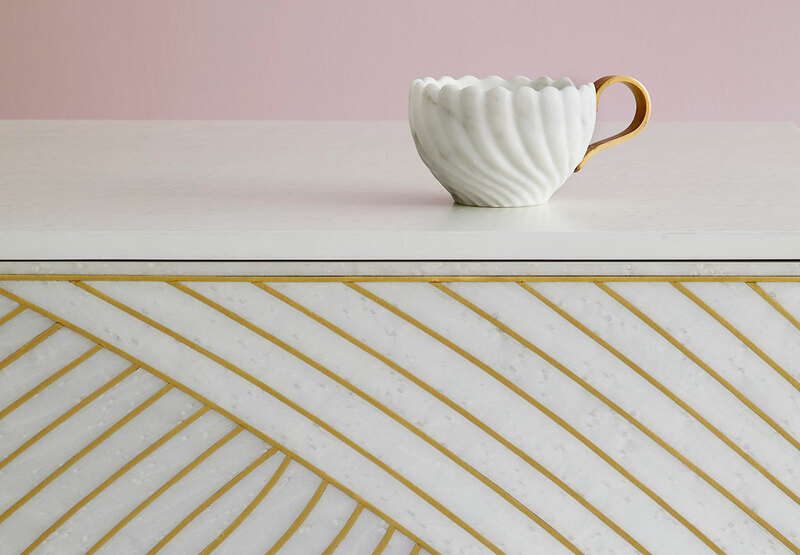 The Victoria tea set and lighting collection is inspired by the traditional teaware in the Victoria and Albert Museum’s archive in London – combining classic Italian marble with the traditional British ritual of drinking tea. 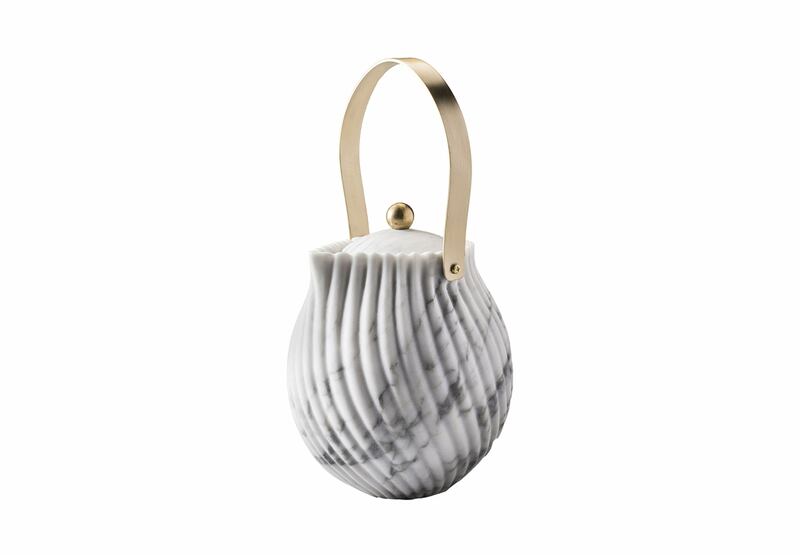 Hand-carved by master craftspeople in Italy, the final pieces feature a relief so fine as to be almost translucent, defying the expectations of the material. The collection is made from Arabescato marble from the best caves of the Tuscan region and combined with brushed brass to add warmth. 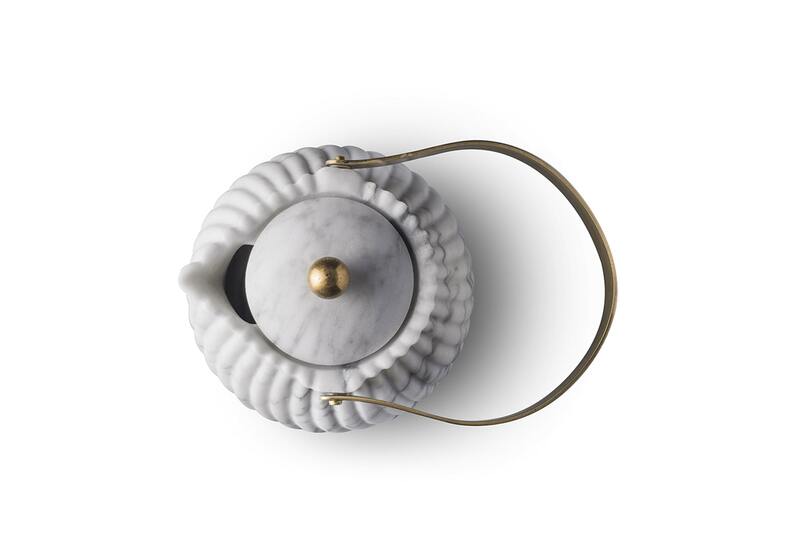 The tea set comprises a teapot, milk jug, sugar bowl, cake stand, teacup and saucer, a spoon and a dessert plate, while the lighting collection consists of a table lamp, a wall lamp, a pendant light and a chandelier of three lights hung at various heights – all made from Arabescato marble and brass.